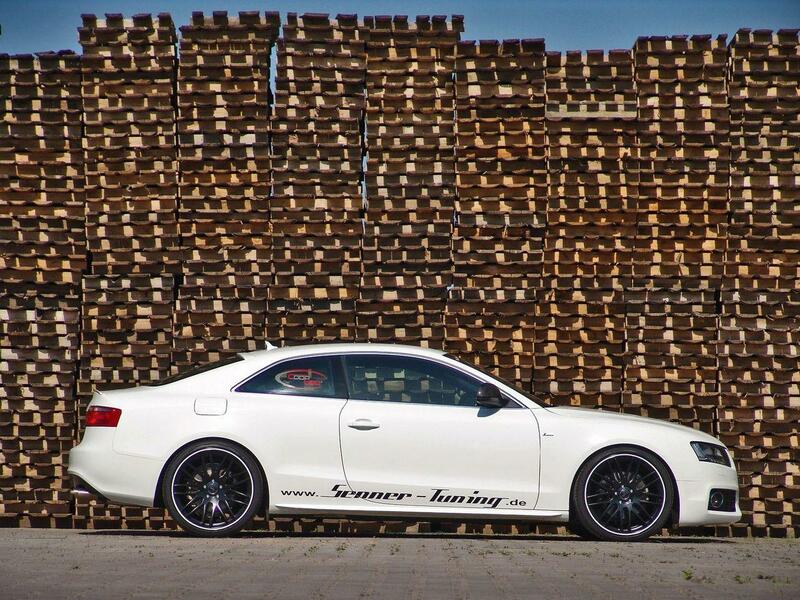 After last year we had the White Speed, Germans from Senner Tuning offered a new creation called Black and White. Is based, of course on Audi A5 3.0 TDI. For the most part, the changes are the same. We have carbon fiber spoilers and mirrors, but a new pair of 20 inch rims. Also, the tuner installed an adjustable suspension and Bilstein B16 PSS10 evacuation has four exhaust drums. Regarding the 3.0 TDI engine, it now develops 300 hp and 600 Nm. As a result, the maximum speed is 280 km / h (limited). Finally, those from Senner Tuning decided to handle the coupe with inserts of carbon fiber.